Do your shopping at Adelaide Central Market and Rundle Mall. 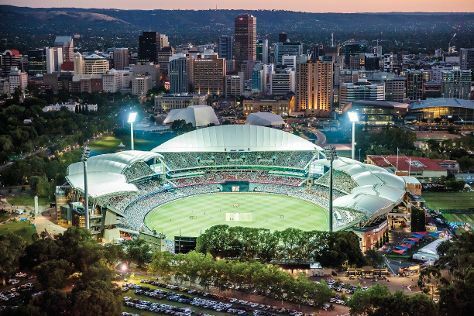 Get some historical perspective at Adelaide Oval and General Post Office. Dedicate the 13th (Fri) to wine at some of the top wineries in the area. There's much more to do: learn about wildlife with up-close encounters at Adelaide Zoo, take in nature's colorful creations at Adelaide Botanic Garden, cross one thing off your bucket list with a skydiving experience, and take an in-depth tour of South Australian Museum. For maps, where to stay, ratings, and other tourist information, refer to the Adelaide road trip planning app . If you are flying in from Italy, the closest major airport is Adelaide International Airport. In September, daytime highs in Adelaide are 21°C, while nighttime lows are 11°C. Wrap up your sightseeing on the 14th (Sat) early enough to travel back home.